Kuchipudi is a popular Dance-Drama Performance art of Andhra Pradesh. The word Kuchipudi is derived from the name Kuchelapuram, a village in Krishna district of Andhra Pradesh. “Kusilara” in Sanskrit means a travelling bard or a dancer. Most of the Indian classical dance forms are very ancient and have evolved from dancing rituals at the temples. Kuchipudi involves story telling of Gods and Goddesses. Kuchipudi is one of the eight dance forms recognized by “Sahitya Natak Academy”. Kuchipudi is described in the ancient text of Natya Shastra written by Bharat Muni, who is considered as the father of Indian theatrical art forms. 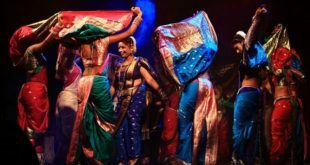 The dance – drama performance arts was adopted by Bhakti tradition of Vaishnavism which grew in the second millennium and the devotees were called Bhagvatees in Andhra. This performing art later evolved into Kuchipudi. According to Manohar Vardpande, Kuchipudi emerged in the 13th century by Ganga rulers who were patrons of performing arts based on Gita Govinda by Jaidev. The modern version attributes to its origin by Tirtha Narayanayati and his disciple Sidhyendra Yogi. Narayanayati is said to present Kuchipudi in Tanjore temple. The “All India Dance Seminar” held by- “Sangeet Natak Academy” in 1958; put Kuchipudi on the national stage. Kuchipudi is a team performance involving extensive stage movement. Here the drama is mimed by the gestures (mudras) of hands, eyes and face movement. Traditionally it was performed by men who moved from places to places and performances were given near by the temples. Today females have outnumbered the males in this dance form. 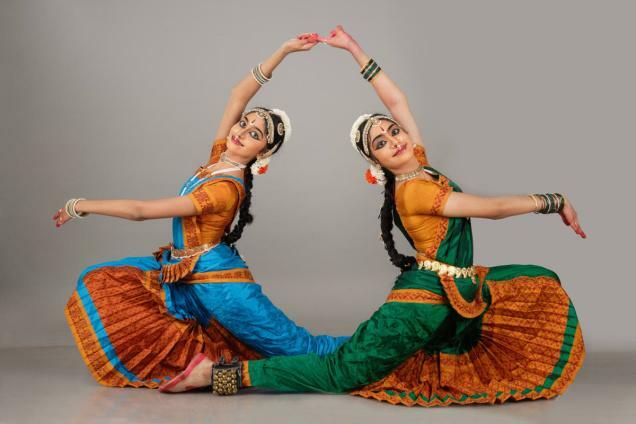 The repertoire of Kuchipudi follows three categories of performance – Nritta, Nritya and Natyam. 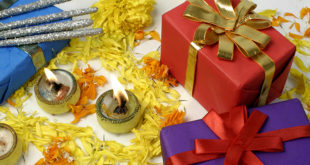 Nritta – aims to attract the senses of the audience, Nritya – communicates feelings and storyline with spiritual themes. 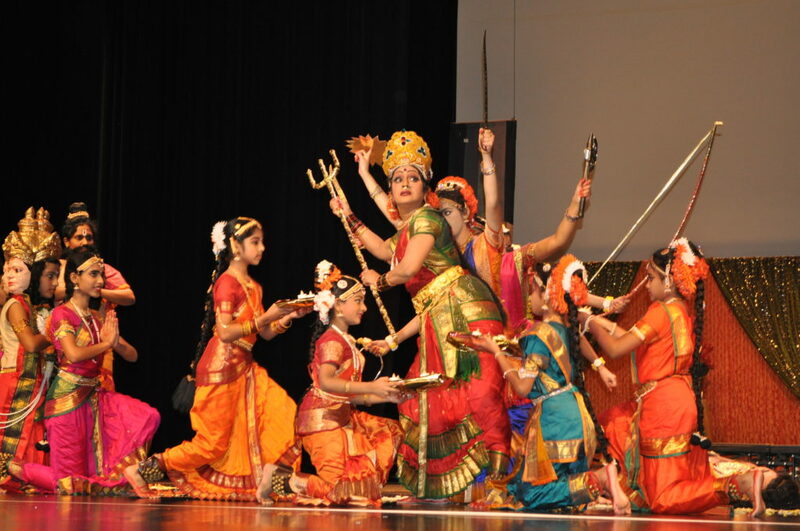 Natyam – It is a play. Kuchipudi is traditionally performed at night after the rural families come from their fields and are free from work. It has been performed in or near a temple. The dance begins with the invocation of Lord Ganesh or other deities or one’s own guru. A male dancer wears Angivastra, female dancer wears Sari with pleated fall stitched in front. Jewellery includes ornaments of hair, ear, nose, waistband, armlets, necklace and ghungroo. The forehead is adorned by round “Bindi” or “Tilaka” and they have elongated eyes with the elaborate hairstyle. Flowers are used to decorating long plaits. Some special Kuchipudi plays may have unusual costumes and other props. Kuchipudi is performed to classical Carnatic music. 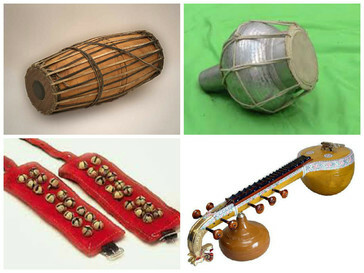 The orchestration includes mainly “Mridangam”, a clarinet and Violin. The performance is led by the conductor who is in charge of the cymbals and also recites the musical syllabus. The conductor of the performance is present throughout. First, he introduces each actor who performs a short dance called “Pravesadam” accompanied by musicians and vocalist. After the introduction, the “Nritta” part or pure dance starts. Thereafter “Nritya” the expressive part or abhinaya begins. 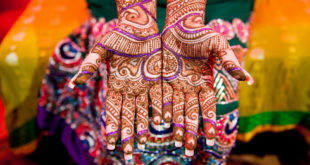 The dancer uses the hand mudras and expression to communicate the storyline. Kavutums are a distinctive feature of Kuchipudi where the dancer does some acrobatics for a –balancing of pots on the head along with burning lamps on both hands. Famous dancers like Ragini Devi (originally Esther Sherman) and her daughter Indrani Bajpai have been amongst a few to save and preserve this dance form. Yamini Krishnamurti too took Kuchipudi to another level. Kuchipudi performance has now spread throughout the world.